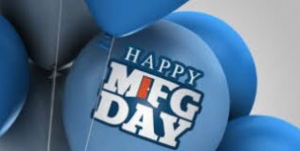 Happy Manufacturing Day! Manufacturing Day is a celebration of modern manufacturing meant to inspire the next generation of manufacturers. Manufacturing Day is produced by the National Association of Manufacturers. Thank you to everyone at EnviroPAK that manufacturers sustainable packaging and to all our clients who make some of the best products on the market!